Pendant lighting allows a homeowner to get creative when it comes to style and ambience. Pendants are a great way to illuminate task areas or showcase certain elements in your home by enhancing a particular space. If you have an open floor plan, pendants can be used to break up the feel and create a layout that is more separated. Lighting is one of the most important aspects of home décor. With so many different styles and sizes to choose from, deciding on what works best can become an overwhelming task. Before you choose your style and size, you will need to know where the best places to use pendant lighting are. Pendant lighting works best in conversation areas like family rooms, living rooms, and dining rooms. They are also typically used in task areas such as the kitchen, reading areas, or a workspace. In the kitchen: If you have an island in your kitchen, pendants are a great way to draw attention to this feature and add task lighting. The same goes for other unique features such as a breakfast nook or a bar, making it more distinct and highlighting it as a conversation or gathering area. TIP: If you’re looking to upgrade your kitchen without breaking the bank by remodeling, consider replacing older fixtures with a pendant fixture, or a row of pendants to give your kitchen a more modern look. 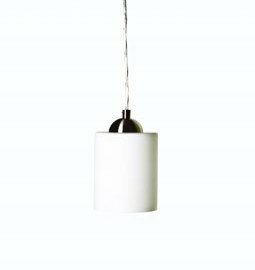 Dining areas: Get rid of that outdated lighting fixture and replace it with a unique pendant fixture. If you have a larger dining area, use 3 or more fixtures in a row to highlight your dining space. TIP: Be sure to use a dimmer switch so you can brighten the area up for a dinner party, or set the mood when it is time for a romantic dinner for two. Open floor plan: Pendant lighting can be used to break up a large open floor plan, giving the space a more separated feel and creating “zones” within it. If your living room and kitchen are adjoined, consider positioning your couch so the back is towards the kitchen. Hang a row of pendants above the couch and another row in the kitchen. This will separate the two areas and showcase your décor. TIP: If you have a large living room, consider breaking it up into smaller areas. Create a focal point around a fireplace or entertainment center and hang a pendant fixture above this area. Use a chair or two, and a table in the corner with a single pendant fixture to create a reading nook. The bedroom: Looking to make that master bedroom more romantic? Consider hanging a pendant fixture above the bed, or a row of pendants above your headboard. Install a dimmer switch to create a more inviting ambience. TIP: Pendants can also be used above a dresser or vanity to create an extra layer of light or give your room a fresher look.